We’ve got some troubling news. Your world has been taken by aliens, and it’s up to you to take it back! Are you up for the task? Maybe you can get some inspiration in the brand new trailer above, showcasing some of the shenanigans you can get up to with the aliens in Mugsters. The aliens are doing who knows what to your fellow humans, and it’s of the utmost importance that you free them before the aliens finish doing… whatever they’re doing. Should you get a chance to destroy some of the alien machines, or collect some of their mysterious crystals, we’d strongly encourage you to do that too. Oh, and remember to keep an eye on any vehicles that can get you off each island as soon as you’re done! If you have any questions about Mugsters, or just want to let us know what you think of the game so far, be sure to follow Mugsters on Twitter and Facebook, or join the conversation on the Steam community hub, or our Discord server. 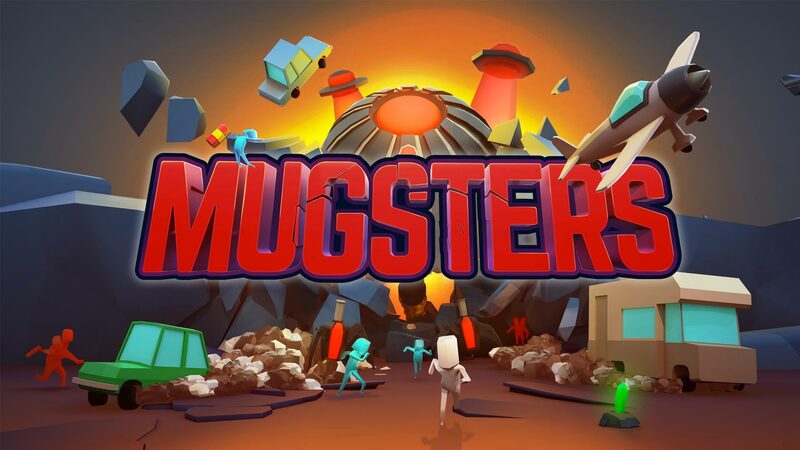 Mugsters will be available on Steam, PS4, Xbox One and Nintendo Switch summer 2018.